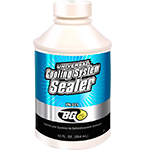 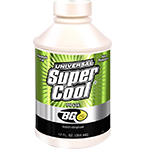 BG Universal Super Cool® | BG Products, Inc.
Over time, protective additives in engine coolant become depleted. 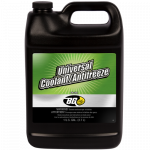 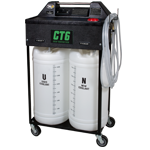 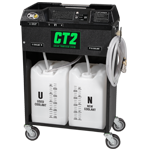 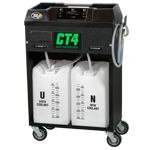 Degraded coolant can be acidic and incapable of protecting the components in the system. 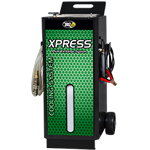 This results in damaging corrosion in the formation of rust, scale, and other debris that prevent proper engine temperature regulation. 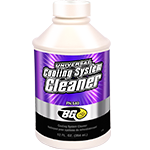 Left untreated, this condition may cause leaks, overheating, and other drivability problems. 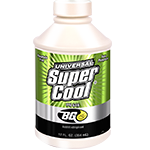 BG Universal Super Cool® protects against foaming and corrosion and restores critical coolant additive balance and coolant pH.